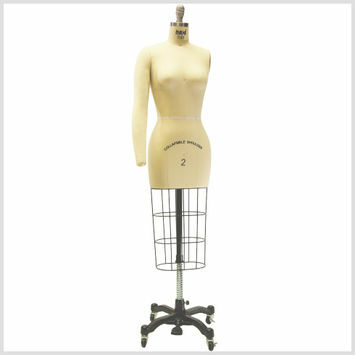 Dress forms are indispensable to any professional garment maker’s studio. They allow pattern adjustments before cutting, better fittings and alterations, and an opportunity to creatively work with fabrics and see how they drape on the body. They also double as mannequins for finished products or concepts. Take one home today and get sewing!